Fire Doors are becoming ever more popular. They can be essential in certain renovations and building works. An architect or building inspector will be able to tell you if they are necessary within larger builds. Within your home they may not be a need but when you are replacing doors it is always an option to consider. Take a look at our website where there are plenty of options to fit your new style of home. 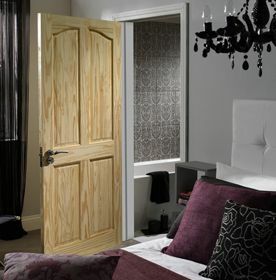 Fire doors are offered in numerous styles and looks. They're extremely important for keeping everyone safe and secure in case of a fire. Fire doors are an essential component in commercial settings. Homeowners that are looking to improve fire safety in their domestic environments may invest in fire-resistant doors. In general, they are not required within homes. Yet more and more households are choosing to use them as a precautionary measure. They have the primary function of protecting individuals and infrastructure - this is done by lessening the damage caused by the spread of fire and smoke. • They are designed and tested to maximise protection from fire and smoke for a set amount of time. They create 'through compartments' within your property. This allows occupants more time to escape in the event of an emergency. Fireproof doors can be essential in some renovations and building works. They are constructed in a specific way to fulfil the requirements of the safety regulations. Thus, they are usually extremely robust and generally heavier than a standard domestic door. 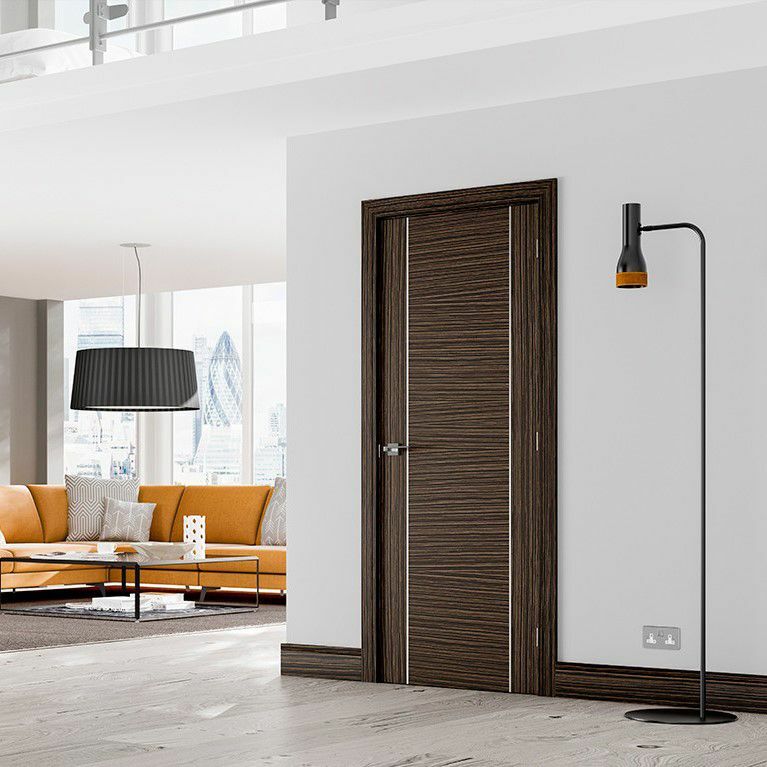 It is advised that if you are having these doors installed, you should seek the expertise of a professional for advice and correct installation. Make sure that you use Fire Rated Hinges and Handles for your own safety and to follow safety regulations. Can I Buy Fire Doors that Match my Decor? 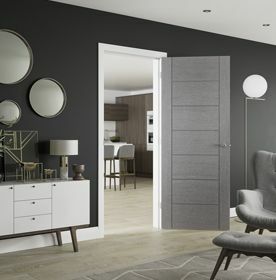 Adding internal fire doors to your home does not mean compromising on style. 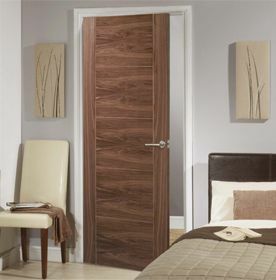 These doors are developed to not only provide you with protection but to blend with your domestic decor. This means that you will be able to have both security and style combined. As well as these there are other choices like painted options in white or grey. How Long do they Resist Fire? Each fire door is categorised with a British Standard Fire Resistance (integrity) Rating. Each fire rating corresponding to the estimated number of minutes that the door can resist fire. Ratings range from FD 30 (30 minutes) through to FD 120 (120 minutes). The standard fire doors last for up to 30 minutes and the more robust ones can hold the fire and its effects for up to 60 minutes. In certain cases, there is a requirement for fire doors to have a longer resistance time of 90 or 120 minutes. An S Suffix to a fire door rating shows that it is a fire and smoke-controlled door. These doors are composed in a very structured way. They are made from hard wearing and durable materials making them very heavy and difficult to install. There is a good quality guide on the Fire Door Safety Week website which also covers the regulations around commercial and office properties too. Building Regulations provide guidance as to the minimum building standards needed to be achieved and will reference test requirements and performance for fire door assembly. Fire Door information is detailed in the Approved Document B, which separates into two sections to cover Dwelling Houses and Buildings other than Dwelling Houses. All our internal fire doors are fire rated and are tested to the highest standards. They all have the specifications in their description to make sure that you are buying the correct door for you. 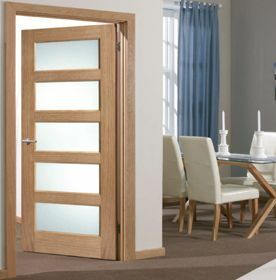 While buying a fire door, you must check the whole range of doors and select the best one for your home and budget. While they are not cheap, they are an important investment. They are available in different resistance ratings. These ratings, as shown above, take into account the risk of a fire starting and spreading throughout a building. Therefore, it is vital you take your time to select the right one to match your safety needs. 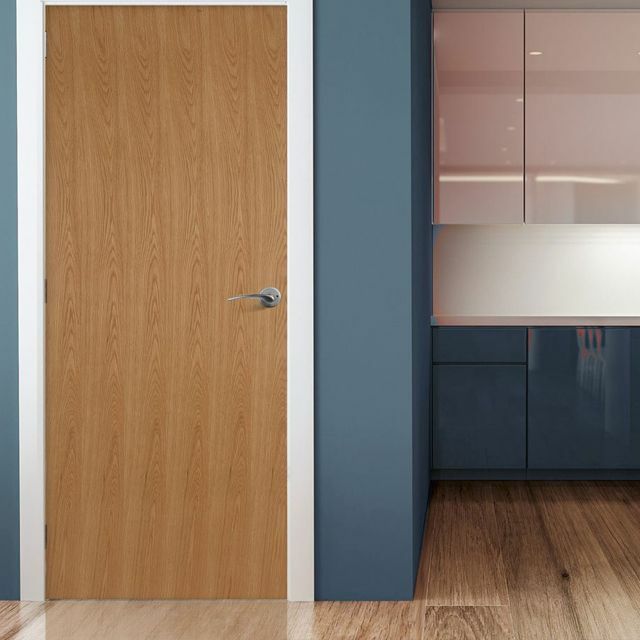 When planning your door installation, take a look at our guide on standard door sizes to make sure you are ordering the correct door. 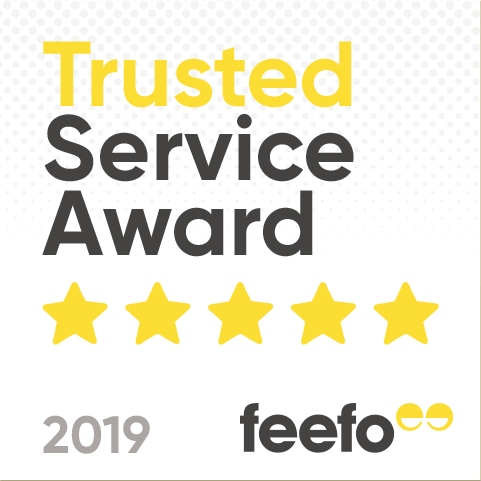 If you would like additional information regarding our range do not hesitate to get in touch with us, our online advisers will be happy to assist you in your purchase.